People often think that home selling is the most demanding side of a real estate deal. However, I would argue that home buying is also a meticulous, careful, and strenuous process. It’s the homeseller's job to sell their property, but it’s your job as the homebuyer to ensure you don’t buy a home with major issues, overspend, or compromise your needs. When you think about it, there’s a lot of room for mistakes as a homebuyer! To help ensure you have the best outcome in your homebuying experience, take a look at these househunting dos and don'ts. Don’t ignore your predetermined budget. Before you even start looking at potential homes, get your credit score--know what you can afford and get pre-approved. Then, establish a budget with your spouse that encompasses your needs. When you begin your online hunt for properties, use the price filter on your search settings to ensure you aren’t looking at homes above your price point. It’s normal to want to take a look at high-priced properties, but attending open houses for homes you can’t afford will only lead to disappointment or cause you to justify overspending--neither of which will help you find the home that’s right for you. Don’t think you’ll remember everything you see. No matter how remarkable or repulsive a property is, once you start viewing homes and attending open houses, they will run together in your mind. Features of one will merge with another, and soon you will have memory of a home that doesn’t exist! Instead, take notes as you walk through. No, it’s not nerdy to carry a notebook--you’re ensuring that you walk away with an honest recollection of the property and prevent multiple visits to homes you’ve already seen. Don’t underestimate how much time, research, and paperwork is involved. Think there are just a few papers to sign at the end? Think again. From day one of househunting, you'll have a lot of work to do. It starts with getting pre-approved for a loan. Then it turns into researching the area/neighborhood you want to live. Then you have to schedule with the homeowner or real estate agent to coordinate a tour. Each of these steps takes time. After all the fun stuff is done and you’ve chosen the home you hope to buy, you'll need to put in an offer, negotiate, coordinate a home inspection...and then sign paperwork and close on the house. But if you think that closing is just a quick transaction at end, you might find this statistic interesting--the average time to close on a home is over a month. I don’t share this to scare you, but to give you realistic expectations as you begin your house hunt! Buying a home is a process. There is certainly no one right way to do it, but there are certain things you should do and not do. 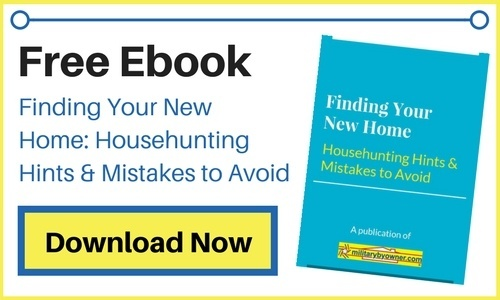 For more househunting information, download our free ebook Househunting Tips and Mistakes to Avoid.